You have reached the ideal website if you are looking for boat insurance in Seymour, North Vernon, Madison, or Columbus, Indiana. ISU-Bright Agency is a local, family owned and operated business. We have been building local relationships since 1994, and it is gratifying to serve multiple members of the same families. This area is a great place to live in many ways, and easy access to the Ohio River makes boating a very popular pastime. There is no doubt about the fact that it is a lot of fun to skim across the water, but you have to protect the investment that you make in your vessel. Boat insurance is a must, but it can be quite expensive if you have solid coverage on a valuable boat. However, if you work with our agency to obtain your boat insurance, you can rest assured that you will not pay a penny more than you have to. How can we make this contention? Over the years that we have been assisting people in this area, we have identified the most highly rated insurance providers. We have endeavored to establish relationships with reliable companies that offer strong coverage. Since we are not beholden to any one insurer, we can bring back quotes from multiple different sources. At the end of the day, you can select the policy that is being offered to you at the lowest price point. 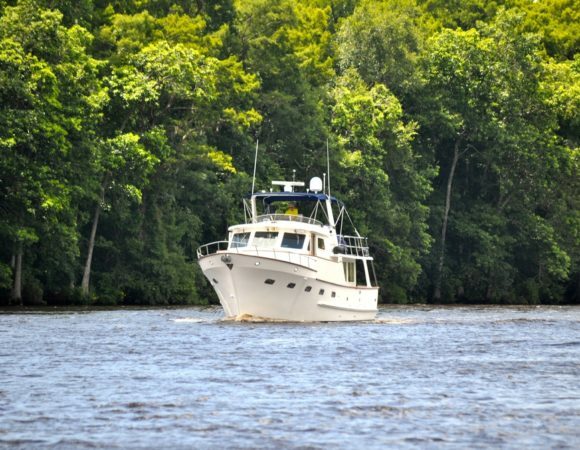 A standard boat insurance policy will usually contain four different distinct components. Property damage coverage will compensate you for losses that exceed the deductible if your vessel is damaged or stolen. Liability coverage will also be included. As the name would suggest, this coverage with help pay for any damages that you may cause to another boat or some other type of property. Medical payments coverage can be part of a boat insurance policy. If you or people that are on your boat are injured, you can file a claim to get financial assistance. The fourth piece is uninsured watercraft protection. This would cover expenses incurred if you suffer damages that were caused by an uninsured boater. For boat insurance in Columbus, Madison, Seymour, or North Vernon, Indiana, ISU-Bright Agency is the only logical choice. You can reach us by phone right now at 812-346-2282, and our toll-free number is 800-288-6128.